Coconut Oil is antioxidant rich and has been an essential ingredient for healthy skin for centuries. Paired with Apricot Kernel Oil, Sliquid Soul is a powerhouse of anti-inflammatory, anti-septic, and anti-bacterial skin soothing emollients. 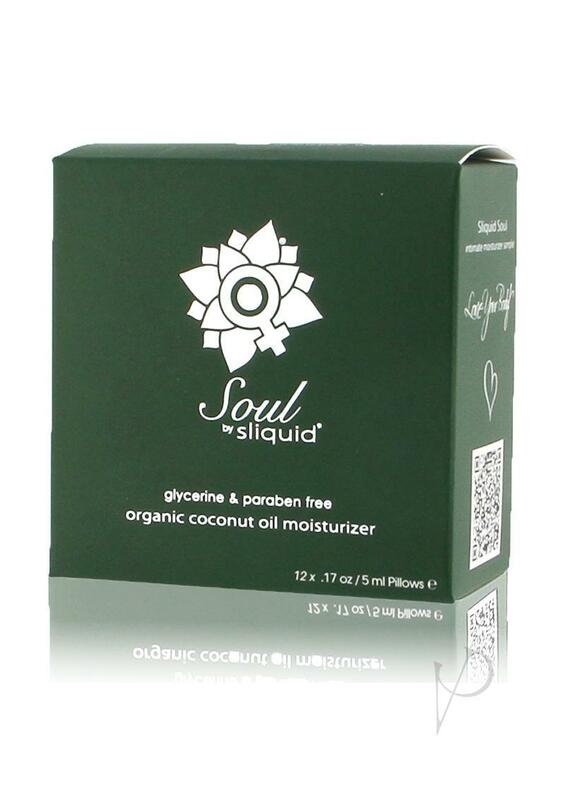 Soul is intended not just as a topical moisturizer for your intimate areas, but for all-over body skin conditioning. Shea Butter, Cocoa Seed Butter, Almond Oil and Vitamin E work together to restore your skin?s natural moisture and elasticity, and is a perfect solution for new and soon-to-be moms who are looking for a natural way to soothe and repair some of the myriad of issues that her skin faces during pregnancy and birth. The Soul Lube Cube contains 12 individual pillow packs, perfect for travel use or when you?re on the go. Dimensions 2.75 x 1.5 x 2.75 in.